On March 23, 2017 at approximately 6PM members of the TPD's Crime Suppression Team were conducting Point of Entry Policing at the MBTA's Central Sq. station. While there they had their attention drawn to a male, later identified as Derek Briggs, 41, of Dorchester. Briggs fare evaded by "piggybacking" in behind a paying customer. Officers approached Briggs for the purpose of issuing a citation for fare evasion and subsequently discovered there was an active warrant in existence for Briggs' arrest issued out of Dorchester District Court for 2 counts of Cruelty to Animals. 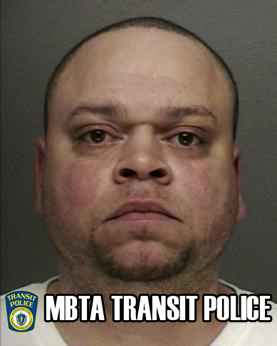 Briggs was placed into custody and transported to Transit Police HQ for the arrest booking process. During this process Briggs was found to be in possession of prescription narcotics for which he did not have a prescription for. Briggs to be additionally charged.